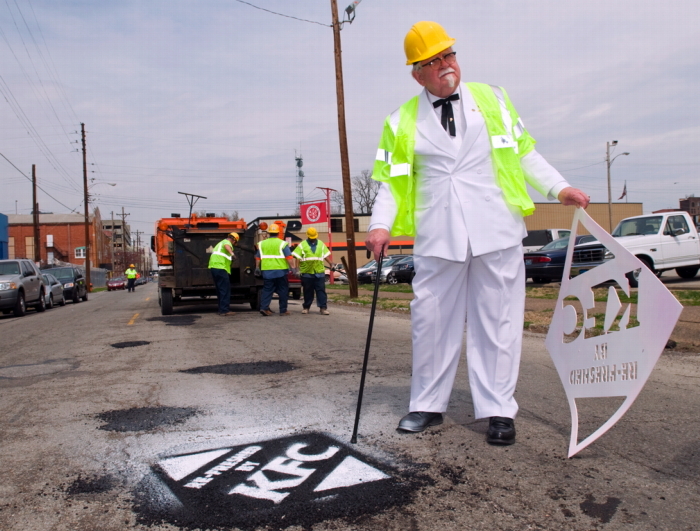 There's a whole group of Col Sanders lookalikes in the general Kentucky area, they have an annual contest in London, Kentucky, during the Chicken Festival there in September. I've interviewed some of them and they are SERIOUS. They know minute details about the Colonel's children, etc. Good to know they're now employable as something other than restaurant greeters.